During the LOM workshop earlier this year, I put together supplies to create Story Cards - index cards, punched tabs, pens, stapler. These supplies allow me to quickly and easily jot down an idea for a layout or story I want to scrap. I created a few Story Cards during the workshop, ideas for layouts that I wanted to create eventually. One of those cards I titled Perspective and listed four photos that I wanted to use. I then filed the card away in my Category Drawers. This week as I scrolled back through the Inspiration Emails from the Dimensional Details workshop, I came across a layout that inspired me. I printed the email and pulled my Story Card along with the photos I had listed. I then flipped through my storage binders to see if there were any additional photos that would go along with this theme. With these two items on my craft table, I began pulling supplies for a layout - kraft cardstock, patterned paper scraps, ribbon, buttons, etc. The result is this layout. This is the first time I've actually created a layout based on an idea from one of my Story Cards. 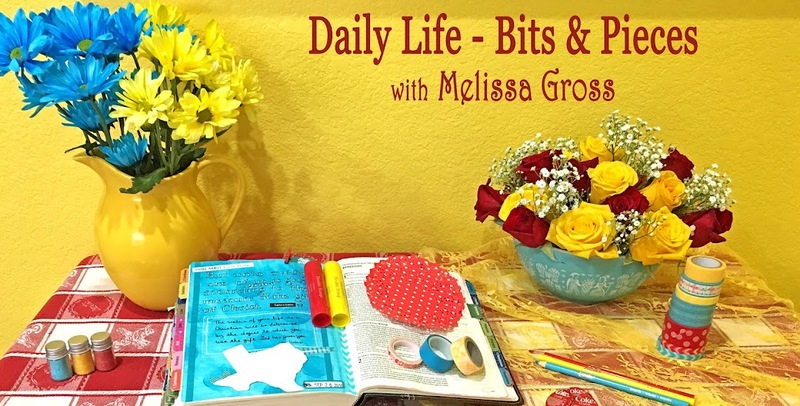 It is a great way to keep track of layout ideas and easy to pull when I have some time to create! I have a few layout ideas that I've scribbled down in a journal: I think today I will create Story Cards for those ideas and file them in my Category Drawers. Some of you may have noticed on the sidebar under the list of What I'm Reading Right Now that President Ronald Reagan's autobiography An American Life has been listed for quite a while. Today I finished it -- all 700+ pages! I have to admit that this is the first presidential autobiography I've ever read. Honestly, growing up, history was not my favorite subject and politics was never a topic of conversation in our home that I can recall. It has only been in recent years that I have discovered an interest in both. This year I'm also following my new resolve to read about subjects that interest me from other books I've read. Sarah Palin referenced President Reagan's autobiography and praised his politics numerous times in her recent book, Going Rogue , thus prompting me to put this book on my To-Read list. I was 11-years-old and not interested in politics or news when Ronald Reagan became president in 1981. I do remember that time because I was home sick and watched the hostages that had been released arrive in Washington. Eight years later when George H. W. Bush became president, I remember thinking how weird it was to see a new president on TV because most of my growing up years it had been President Reagan. As I watched all the funeral ceremonies in 2004 when President Reagan passed away, I remember thinking that I truly didn't know much about him or his presidency. Ok, back to the book. The book is exceptionally well-written and easy to follow despite the fact that it addresses numerous historical and political topics in depth. I found the book to be informative and inspiring and thoroughly enjoyed President Reagan's first person account of his life and his years in the White House. The first section of the book follows President Reagan from birth through his first election as president in 1981. It also details how his economic and political views were formed. President Reagan grew up in Dixon, Illinois, where he states he observed "how the love and common sense of purpose that unites families is one of the most powerful glues on earth and that it can help them overcome the greatest of adversities. . . that hard work is an essential part of life . . . and that America was a place that offered unlimited opportunity to those who did work hard." He attended college at Eureka College in Illinois, however because of the Great Depression he had a difficult time finding employment. He spent his first summer after college as a life guard, a job he had each summer throughout most of his high school and college years. Of his years at Eureka College, he said he would definitely go there again (or to another small college like it) because "at big universities, relatively few students get involved in extra-curricular activities" and that the "tremendous influence that participating in student activities can have during the years from adolescent to adulthood" is often undervalued. Throughout the book, President Reagan discusses his faith in God and how prayer was a vital part of his life. In addition, early in life his mother taught him to pay tithes on any money he earned, and he faithfully gave this money to the church. At one point during the depression, after he had graduated from college and gotten his first position as a radio announcer, he learned that his brother had run out of money and was going to have to leave college before graduating. President Reagan went to the minister at his church and asked if the "Lord would consider it a tithe if I sent (my brother) the $10 a month instead of putting it in the collection plate?" The minister agreed that the Lord would be fine with it and his brother was able to remain at college. President Reagan then spent several years as a radio announcer in which some assignments led him to California. He then followed his dream of becoming an actor, served our country in World War II as a liason officer, married Nancy Davis (his love and admiration of her are apparent throughout the book which he dedicated to her), was convinced to run for governor of California where he then served two terms, and eventually became our 40th president. Growing up in a Democratic family, President Reagan began his voting life as a Democrat. Over the years as some of the original ideas that the Democratic Party was built on began to change, President Reagan realized that his views more closely aligned with the Republican party. Some of these views included the belief that "there probably isn't any undertaking on earth short of assuring the national security that can't be handled more efficiently by the forces of private enterprise than by the federal government," that the US had to negotiate with the Soviet Union from a position of military strength, that nuclear weapons should be eliminated, and that the government should be required by constitutional amendment to have a balanced budget. 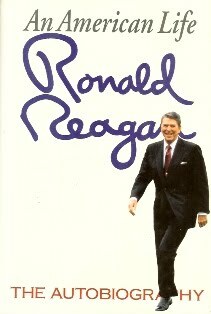 Unlike the first section of the book which is written chronologically, the years of his presidency are detailed in five sections based on the major issues during his presidency: the first year and domestic economic recovery from the recession; the Middle East, Lebanon, and Grenada; Iran-Contra; and Arms Control negotiations with the Soviet Union. These sections are a great history lesson and give insight into President Reagan's reasoning and thoughts on each of these major issues. Reading this book has given me a much better understanding of the issues that surrounded President Reagan's presidency and the every day life of the president. It has also sparked my interest in reading other presidential autobiographies. In addition, this book reinforced my belief that the president needs our prayers every day. Thought I would share a couple of layouts I completed this past week that show how I am truly scrapping non-chronologically. The memories that these two layouts preserve are 37 years apart! The first one showcases a photo and my handprint, both from 1973. The Library of Memories Community weekly challenge was to "Browse your Memorabilia Notebook and select something to use on a layout. 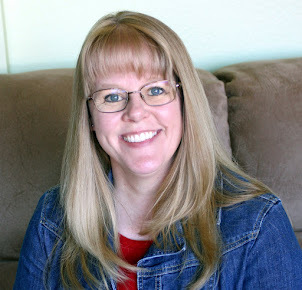 Locate appropriate photos and use bullet point journaling and lots of blue." I didn't use bullet point journaling because I think the poem is all the journaling needed for this layout. This second layout features photos from the 4th of July, just two weeks ago. I was reading a recent edition of Creating Keepsakes magazine and saw a similar layout that inspired me. I only had these two photos from the 4th, and I knew this would be a nice layout to highlight them. This past week I also received my printed photos for the second quarter of 2010. I slipped those into my Storage Binders and they are now ready for me to scrap whenever an inspiration comes along. Completed a quick and easy mini-album today using another origami album that my younger sister made. This one highlights some of the beautiful scenery photos we've taken on our anniversary trips to the Canadian Rockies. I really like the look of this blue album with these snow-covered mountain photos. And I totally enjoy how easy these are to put together since the albums are pre-made. I do think that some day I'll have to get a lesson from my sister on how to make these cute little albums myself! Happy 4th of July - may your day be filled with sunshine, family, fun, laughter, great food, and fireworks! Decided to get a pedicure yesterday - now I'm all ready for the Fourth of July BBQ at Mama & Daddy's house tomorrow!